Following up on last week's release of Playlist Enhancements Part 1, "Published" playlists are now live! 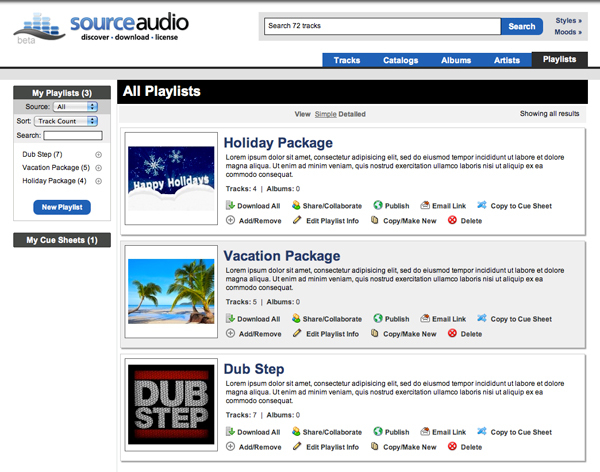 Published playlists are great for creating packages of tracks and promoting them on your site and on the Buyer Network. Publishing your first playlist is very simple. To add more published playlists to your site simply view the playlist, click the "Publish" link under the "More Actions" drop-down, and you're set. Coming next will be the direct email downloads and improving how private playlists are sent. Stay tuned...it won't be long!